The new fall image is now out in the canal 4℃ store and on their official website. 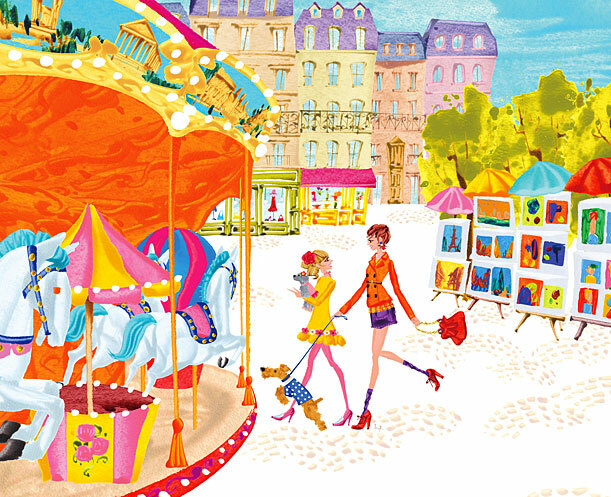 The illustration features the main girl and her cousin who lives in Paris. The two girls run toward the marry-go-around inside the park.